Arsenal completed a clean sweep of six English sides through to European quarter-finals by overturning a 3-1 first-leg deficit to beat Rennes 3-0 and progress to the Europa League last eight at the Emirates on Thursday. Pierre-Emerick Aubameyang scored twice and also teed up Ainsley Maitland-Niles as Arsenal joined Chelsea in Friday’s Europa League quarter-final draw after Liverpool, Manchester City, Manchester United and Tottenham led the way in the Champions League. 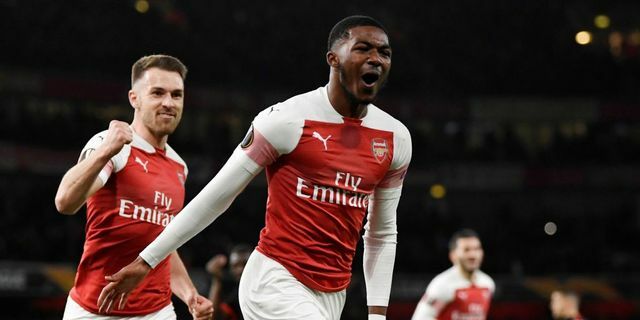 Winning the Europa League would offer Arsenal the safety net of Champions League qualification should they miss out on a tight battle for a top-four finish in the Premier League.